Amanda Owen presents the little-known story of how a bronze bell became a celebrated symbol of the women’s suffrage movement. 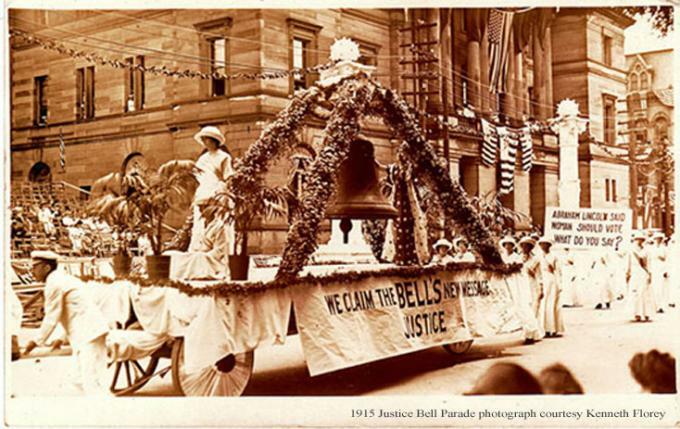 The creation of suffragists in Pennsylvania who were agitating for the right to vote, the Justice Bell helped rally support around the cause in the last crucial years leading up to the passage of the Nineteenth Amendment. This program is presented as part of our 2019 Summer Quest Program "A Universe of Stories."